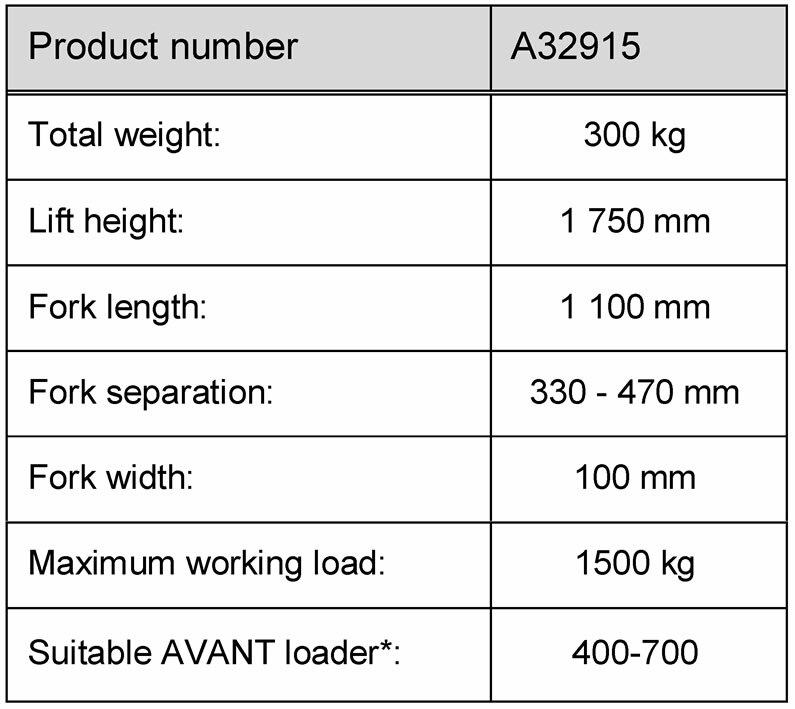 The AVANT forklift mast is an attachment suitable for use with AVANT multi purpose loaders. The forklift mast gives more lift capacity and stability with large loads. The forklift mast is an ideal attachment for handling and lifting of heavy pallets (stone, fertilizer) and other heavy materials. It can be also used for loading and unloading of trucks. With the fork side shift mechanism, pallets of different sizes can easily be transported. The mast is equipped with rigid, foam filled tyres, which gives good all terrain transporting capabilities. 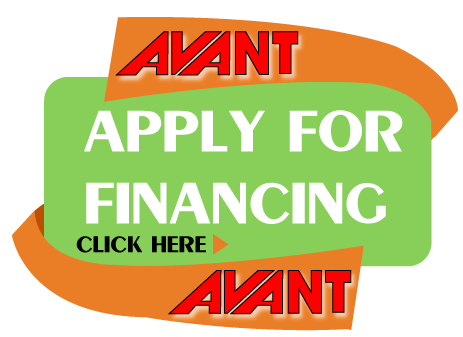 Thanks to the quick attach system connecting to and from the Avant is quick and easy. 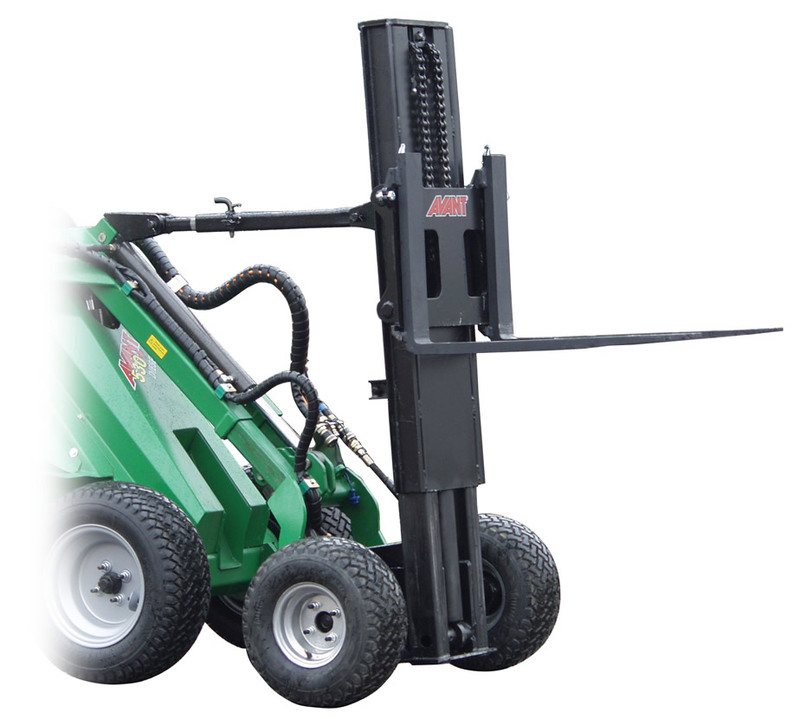 Forklift mast can be mounted only on machines that are equipped with telescopic boom.